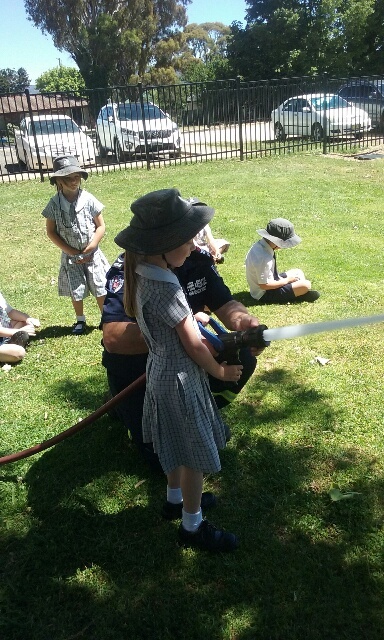 In Kindergarten and Year 1 this term we have been learning about how to keep ourselves safe in our unit Play It Safe. 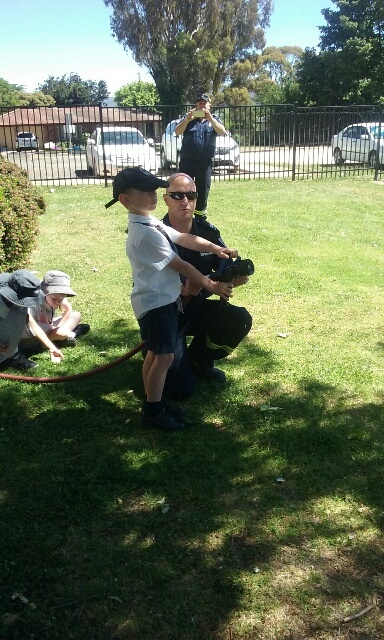 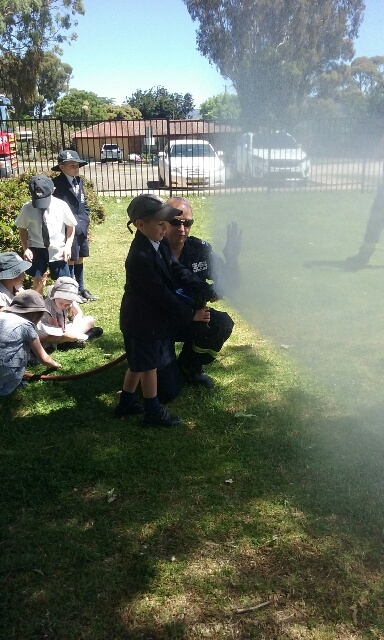 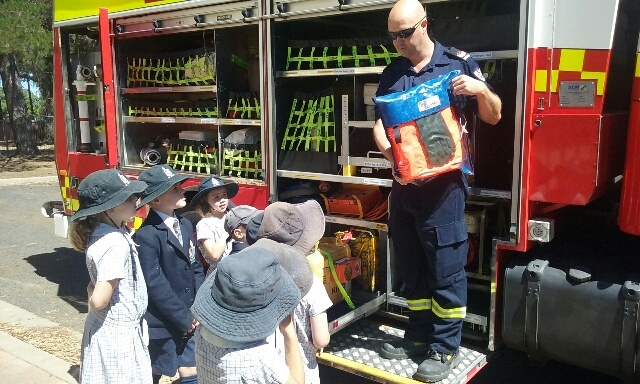 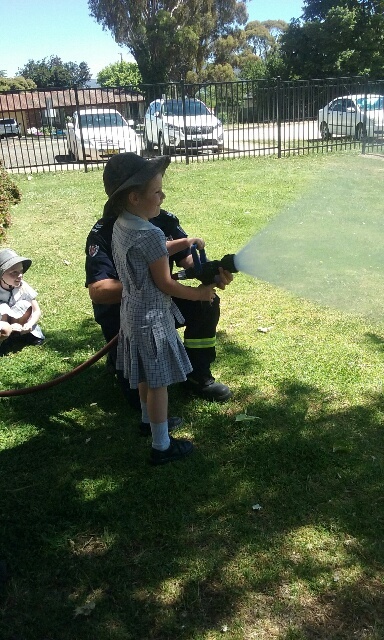 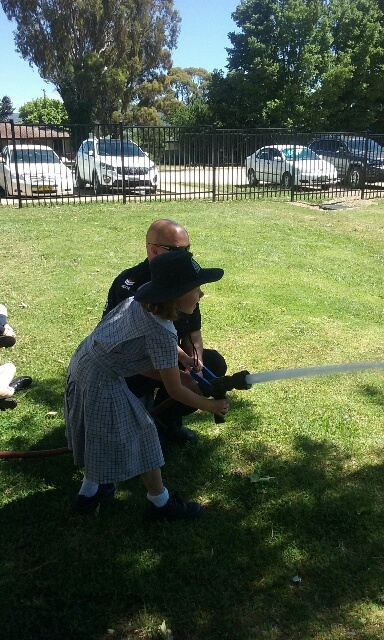 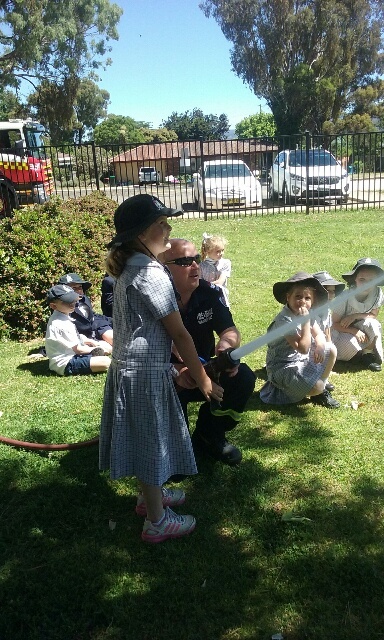 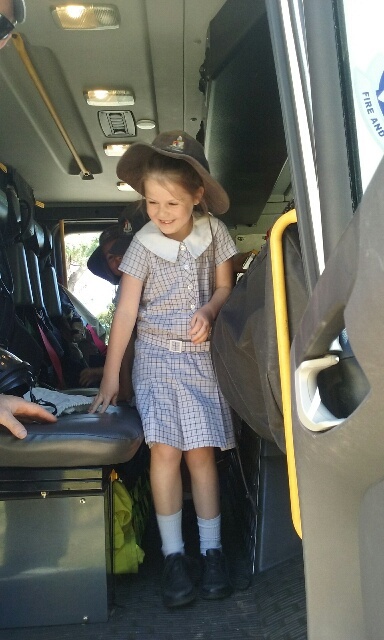 This week we were very lucky to have the Armidale Fire Brigade come and speak to us about Fire Safety. 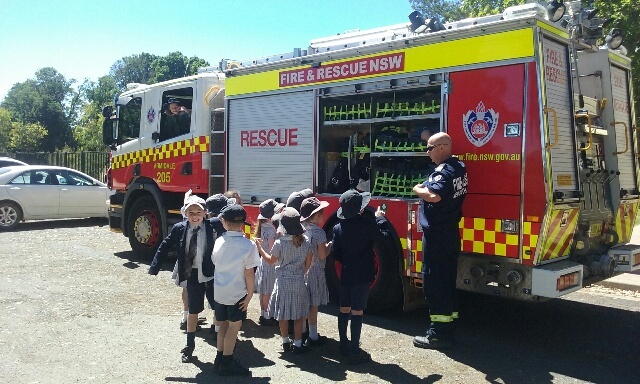 The students asked some great questions and demonstrated that they had a good knowledge of some of the basic ways to keep safe in case of an emergency. 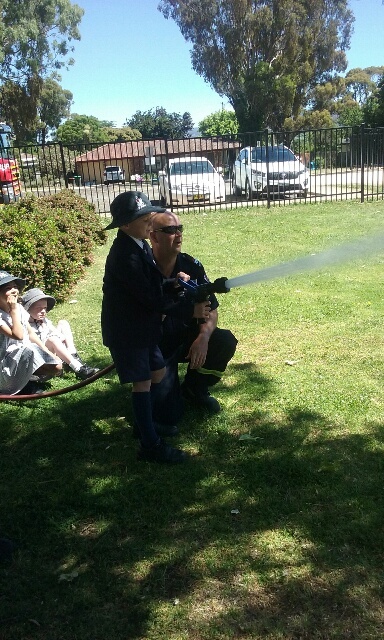 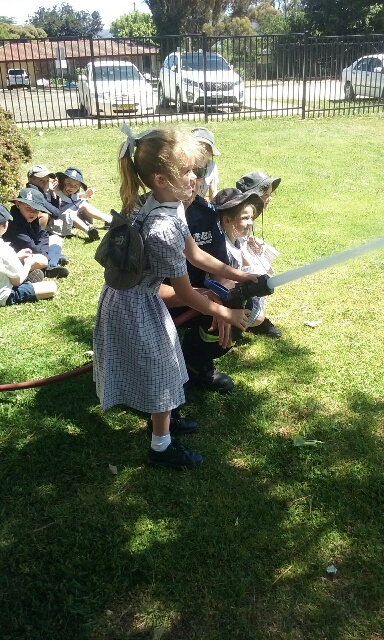 Kindergarten and Year 1 really enjoyed looking at the fire truck and having the opportunity to work the fire hose.